109 breweries submitted 1,085 beers to be judged in 30 categories for the 9th annual BC Beer Awards. Fifty-one of those breweries walked away winners. But only one can claim the bragging rights of brewing the best BC beer of 2018: Twin City Brewing Company. The relative newcomer from Port Alberni won Best in Show for Late Bloomer, a tart fruit beer brewed with hibiscus petals and strawberries. Open for less than two years and a brand new addition to the BC Ale Trail’s Vancouver Island Ale Trail – Part 2, which launched earlier this month, Twin City also took home two silvers for Dissimulator, a doppelbock, and Vanishing Act, a tart blonde ale. Brewery of the Year was awarded to 33 Acres Brewing, which won two golds and a bronze. There’s a complicated mathematical formula used to determine the winning brewery, but it doesn’t take a math degree to know that 33 Acres has been making consistently great beer since their inception in 2013. You’ll find them on our Vancouver Ale Trail. 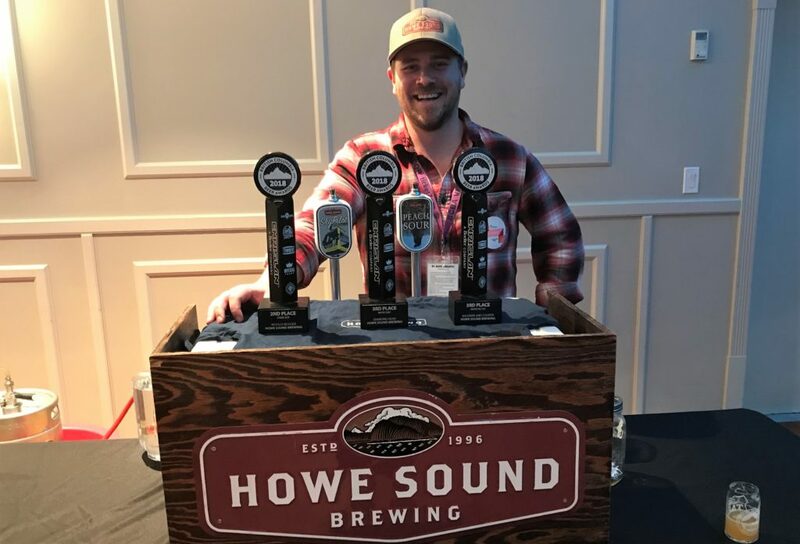 Rookie of the Year went to Sooke Brewing Company, which took silvers for its German Pilsner, Belgian Blond and Vienna Lager, and a bronze for its Barleywine. And it won for best Tasting Room as well. Just 11 months old and already winning more hardware than one person can carry. Judged just before the awards ceremony, by a panel of accredited and celebrity judges, the 2018 Brewers Challenge was awarded to Yellow Dog Brewing‘s Alpha Dog limited release Pale Ale. 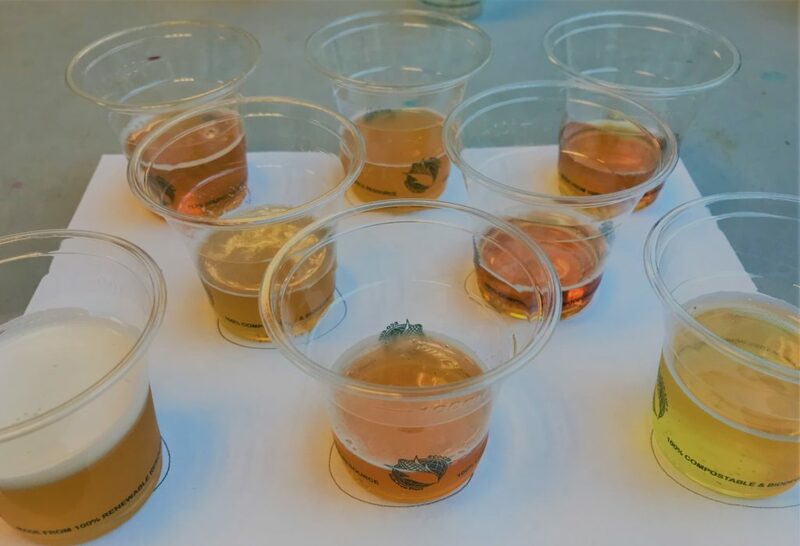 This year the BCBA challenged brewers to brew a beer with fresh hops. It could be any style (which made judging that much more fun), it just had to be fresh hopped. Thirty breweries vied for the title. I was among the judges and I can tell you that the beers were all well made and choosing the winner wasn’t easy. In the end, Alpha Dog was the beer that best showcased fresh hops and singled itself out as the winner. Back to the winning beers in a moment, it’s time to honour a living legend – Lundy Dale! 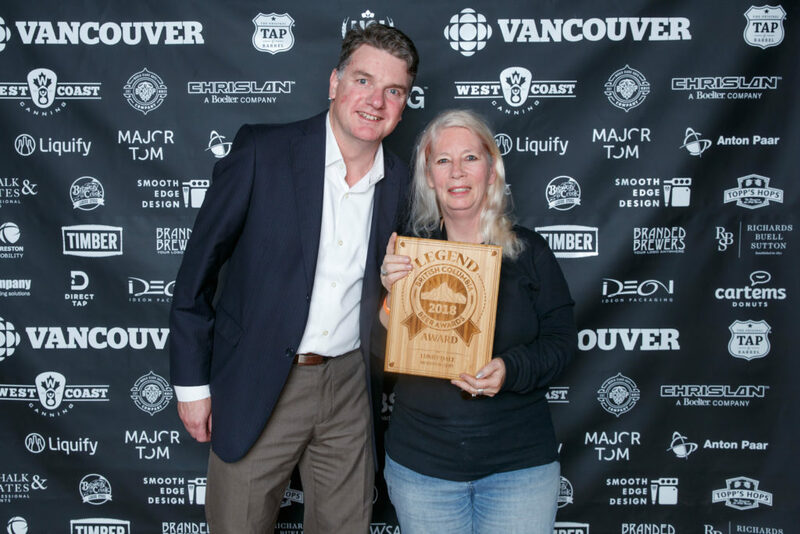 Lundy was awarded the first-ever BCBA Legend Award, created to honour those who have gone above and beyond for beer over their lives. Everyone in the industry knows Lundy, but maybe you’re not aware of all she has done for us. 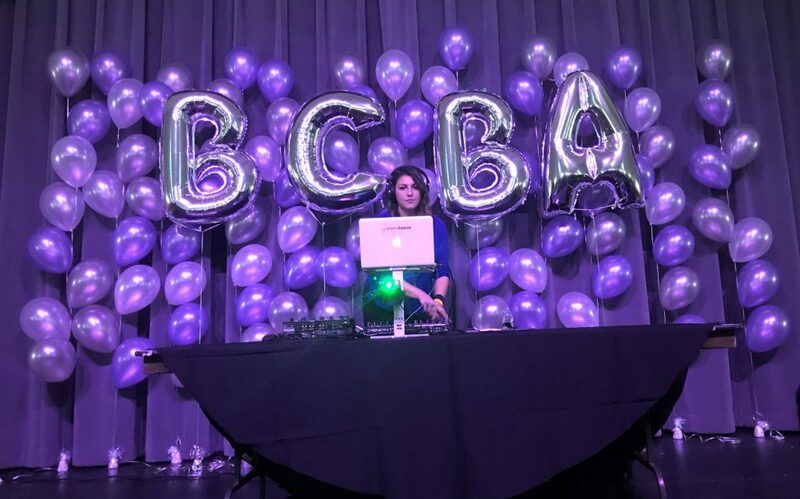 Over the past 18 years, Lundy has tirelessly volunteered her time, including starting several volunteer organizations, dedicated herself to bringing women in beer together and brought us BC Craft Beer Month. She was putting on beer events before most of us knew what craft beer was! A Certified Cicerone, Lundy is also a beer writer, contributing to Taps Magazine and What’s Brewing. Beer is truly Lundy’s passion and she is a most deserving recipient of this inaugural Legend Award. 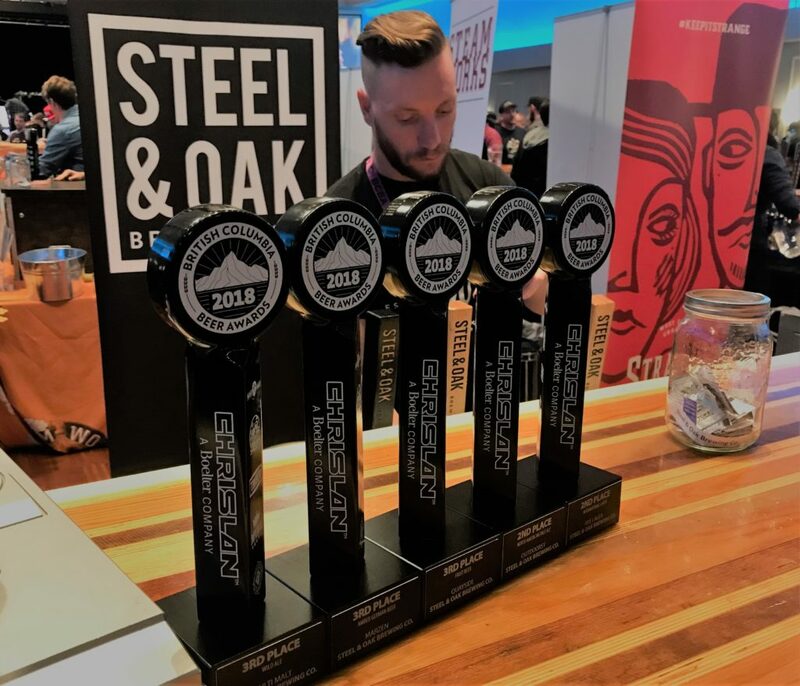 It was a full house for New Westminster’s Steel & Oak Brewing Co, which showed its versatility by medalling in five very different beer categories. The brewery won silvers for its Rye Lager and Outdoorsy pale ale, and three bronzes across the German beer, fruit beer and wild ale categories. 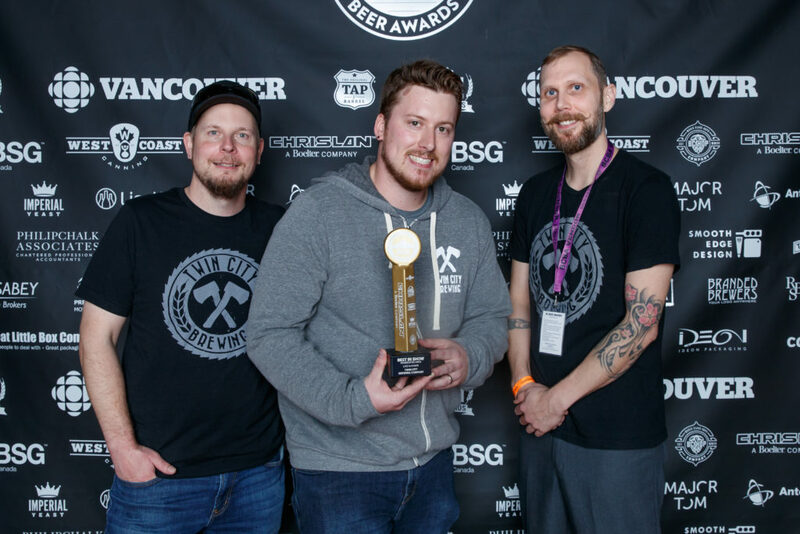 Twin Sails Brewing from Port Moody swept the Hazy IPA category and added another silver for its Rum Barrel Aged Imperial Con Leche to bring its trophy haul to four. Sweeping a category is nothing new to Twin Sails, which did so last year in the Imperial IPA category. It was a golden evening for Strange Fellows Brewing, which took first place in three categories, for Mistral, Jongleur and Little Red One. Sooke Oceanside Brewing had a very good night, winning two golds and a bronze. Golden’s Whitetooth Brewing won a pair of golds. 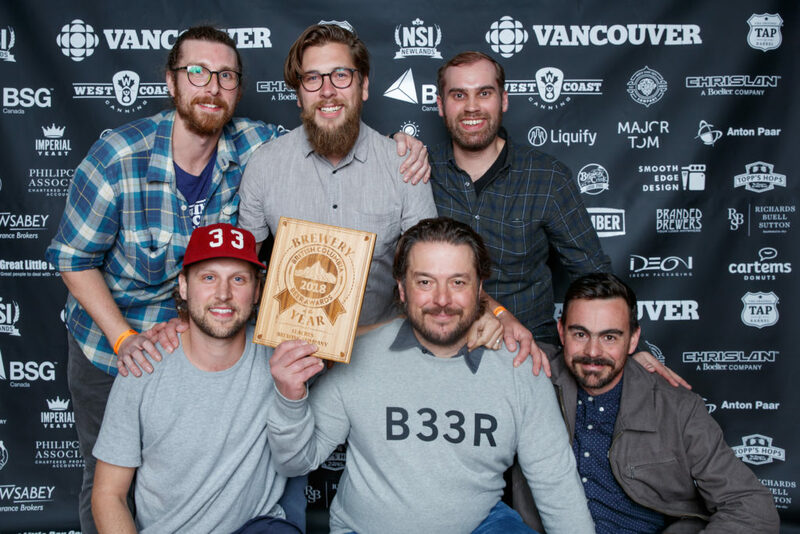 Howe Sound Brewing and Dead Frog Brewery each won a silver and two bronzes. Field House Brewing on the Fraser Valley Ale Trail won Innovator of the Year, as well as Creative Industry Awards for Best Bottle Label and Best Website. Barkerville Brewing, the predominantly woman-run brewery in Quesnel, took a silver for its 52 Foot Stout. Three Ranges Brewing from Valemount won gold for Tail Slap IPA. Both breweries are part of the newly-launched Northern BC Ale Trail. It wasn’t just the experienced breweries who took home trophies – the new breweries were showered with accolades as well. 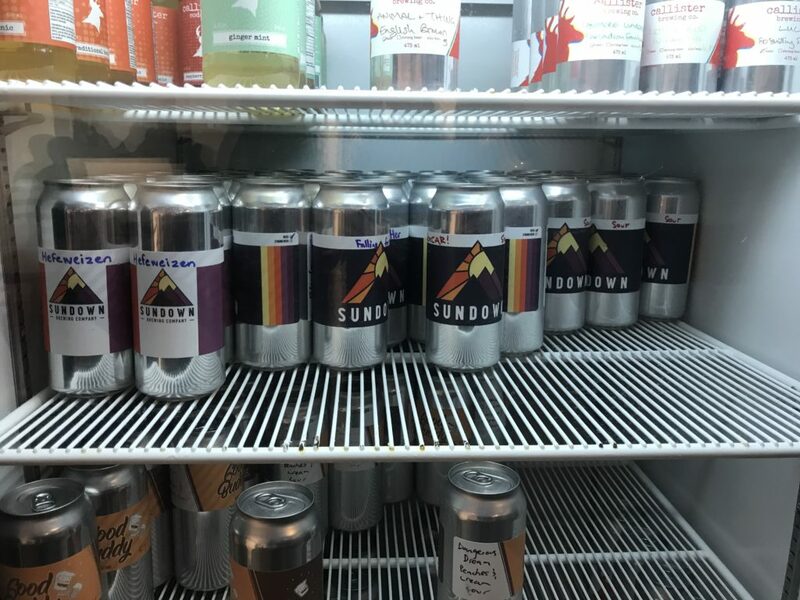 The big winner among new breweries was Sundown Beer, one of the incubator breweries at Callister Brewing, which won a whopping three trophies right out of the gate – a gold for its Hefeweizen and a pair of silvers for Raspberry Fields and Blonde Ale. Kamloops’ year old brewery, Iron Road Brewing, won gold for its Boomer Wild Ale, while Maple Ridge’s year-old Silver Valley Brewing took bronze for The Highway lager. The awards ceremony at the Croatian Cultural Centre in Vancouver was hosted by the CBC’s Lien Yeung. Lien was witty and charming and managed to enrapture a crowd usually more focused on drinking beer than listening to speechifying. CBC also sponsored the People’s Choice award – won this year by new brewery, Brewhall Brewing. After grabbing all their trophies, the breweries then turned their efforts to pouring beer at the festival part of the evening. More than 50 breweries and 9 cideries poured libations for the boisterous crowd. The festival offers the opportunity to taste beers from across the province in one easy location. It also gave the winning breweries their first chance to show off those trophies! It was pointed out to me that tickets for this festival always sell out months before the event, and people are lining up outside before the doors open. Beer people, you really are my kind of people! As always it was an evening full of good beer, good friends and good times, emphasizing again that making beer is a damned fine way to earn a living, and drinking beer an even finer way to spend your time. 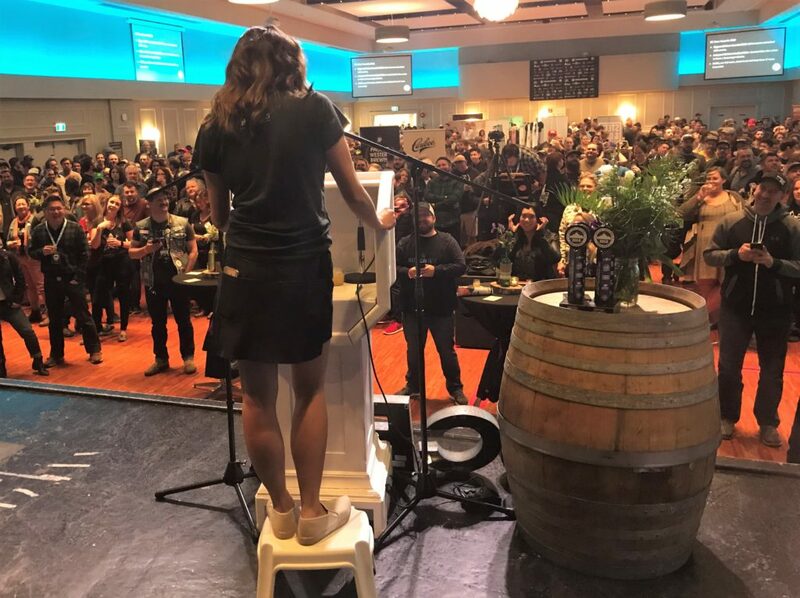 Read on for the full list of winners of the 2018 BC Beer Awards.